Amazon is the leader in retail innovation, yet it lags when it comes to sustainability. Most retailers have well-publicized sustainability programs aimed at reducing energy and raw material consumption and lowering their carbon footprint. They also are proponents for a living wage, humane working conditions and prevention of human trafficking because these efforts serve two important goals that support their profitable growth: they reduce costs and show consumers their brands share their values. By flying under the radar on all of these issues, Amazon has not incurred the costs its competitors bear, nor matched their leadership. 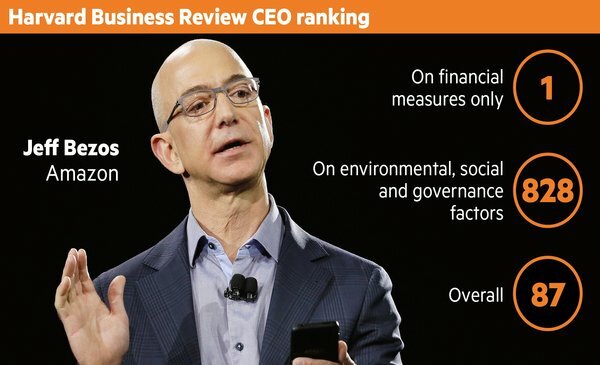 Where Is Amazon’s Leadership On Sustainability? About 70% of companies listed in the S&P 500 share their data on carbon emissions with the Carbon Disclosure Project. CDP is a nonprofit that gathers that information on behalf of big institutional investors worried about how their assets will fare in a warming world. Walmart and Costco earned a B and a C, respectively, in 2016. CDP gave Amazon an “F” for nonparticipation (the company hasn’t responded to CDPs questionnaires since at least 2010). As home delivery of everything has become commonplace, cardboard packaging has become the largest component of human-created waste. Sanford C. Bernstein estimates that Amazon shipped about 608 million packages last year. The company claims its own sustainability initiatives reduced its cardboard consumption by about 83 million corrugated boxes in 2016. If that’s roughly right, and assuming each package includes 2 boxes on average, then Amazon’s efforts to reduce its cardboard package use have produced single digit results. Surely, Amazon’s disruptive thinkers can dream up ways to turbocharge industry’s packaging reduction efforts. Where Is Amazon’s Leadership On Working Conditions? Most consumer goods manufacturers and retailers have committed to fight human trafficking across their supply chains and ensure some standard of safe working conditions and a living wage for those who make the goods they sell. Brick-and-mortar-free Amazon, on the other hand, rings up billions in sales in cities like New York and Washington, D.C., without having to abide by local minimum wage laws. And as a reseller of manufacturer’s brands, Amazon has not been directly accountable for the working conditions of the people who produce the goods they sell. There are two big factors that may cause Amazon to up its sustainability leadership in the near term. The first is Amazon’s initiative to launch its own brands, like its Lark & Ro women’s apparel line. A move that exposes Amazon to the same market expectations as Starbucks, Nike, Gap, Walmart and others who have worked hard to address this for years. Improving working conditions and compensation for the people that make their products, as well as for their own employees, has cost these companies billions. Amazon has not yet been held accountable for its contingent workforce of warehouse and delivery people, much less the people working in what will inevitably become a far-flung supply chain to provide its apparel, food and other products under its own label. The second factor at play is the company’s bid for Whole Foods. Whole Foods is all about shining a bright light on the ills of the “big food” value chain and promising a better way that’s both better for consumers and for the people who supply the products. Those values arguably add cost. If the deal goes through, will the values that Whole Foods represents survive? General Mills is using Annie’s to build environmental responsibility and ethical sourcing into its supply chain, its operating model and its culture. Amazon has an opportunity to use its acquisition of Whole Foods in a similar way. Consumers haven’t demanded Amazon step up, …at least, not yet. Perhaps Amazon will embrace sustainability leadership before being forced to. Until then, competitors would be smart to use its sustainability vulnerabilities against it. If you are a brick and mortar company that competes with Amazon (and who isn’t? ), focus on what you have that Amazon lacks: a physical presence and employees who understand the community intimately. It’s time to get specific about what Amazon is NOT doing in your community to contribute to sustainability. 1. Quantify and publicize the number of tons of Amazon boxes filling your local recycling centers and the cost to the community to collect all that packaging. Help consumers see that as an added cost of Amazon’s products. 2. Quantify and publicize your own alternative energy usage (solar panels on the roof), water conservation (drought-tolerant landscaping), and packaging reduction efforts. Help consumers see these as benefits of buying from you. 3. Show how your employees make the community a better place to live. Be explicit about Amazon’s absence in these efforts. 4. Make your organization’s commitment to ethical sourcing and a living wage known. 5. Challenge customers to ask hard questions about Amazon’s sourcing strategy and use of sweat shops in faraway places. Amazon is more vulnerable than it may seem. It’s time for brick and mortar businesses to use their advantages to level the playing field and challenge Amazon to step up the leadership standards consumers expect and deserve. Your article suggests that exposing Amazon’s sustainability shortcomings would have an impact on decision making. Are there any studies (qualitative or quantitative) to corroborate this assumption? Do people care enough to switch? I believe the imperative is to convince consumers that they can make choices that are more consistent with their values without sacrificing convenience of Amazon Prime by switching to a sustainability-conscious provider. 6. Learn about the alternatives. What alternatives exist compared to conventional packaging? One example used in the publishing industry by Melcher Media is DuraBook technology, which makes material for books that can be upcycled, i.e. turned into a new product of equal or better quality or for better environmental value. 7. Innovate. 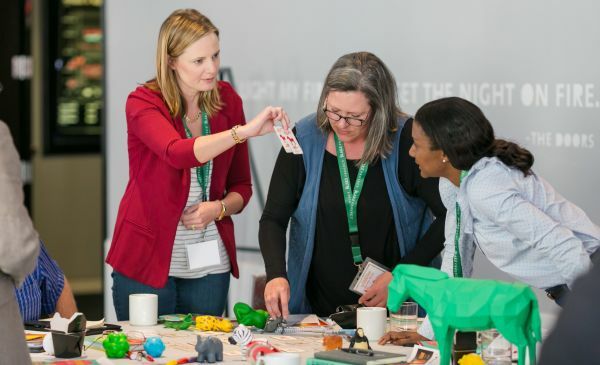 If people see a need for something better (like shipping material that can be upcycled), they might try to create it or help fund innovators who will. 8. Advocate for regulation. Support legislation that all requires all shippers take back a portion (if not all) of their shipping material, bans plastic or polystyrene packing, pays employees a living wage, or contributes a portion of every sale to developing safer alternatives. 9. Contribute to peer-reviewed, scientific research – research that demonstrates correlations between pollution or disease and irresponsible business/manufacturing/shipping practices. 10. Educate your fellow consumer. Make sure people are aware of the repercussions of their purchasing decisions as supported by scientific research. Read “Cradle-to-Cradle: Remaking the Way We Make Things” by Michael Braungart and William McDonnough. 11. Take away Amazon’s excuses. Think about – better yet – find out from them the reasons they are not acting responsibly and address them. Companies, including Amazon, who take your advice in #2 and publicize their efforts in any of the areas above will get my business!